Sony hasn't yet been granted the honor of building a Nexus device, but the company continues to be one of the best contributors to the Android Open Source Project, and one of the best at offering easy options for unlocking your device. 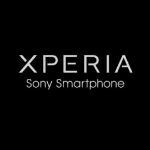 Now, Sony has released a new flash tool to make it easier to restore your unlocked Xperia to an official ROM. Sony has dedicated pages with instructions on easily unlocking your bootloader, and has done well to support the custom ROM community, and the new flash tool is an extension to all of that. Best of all, especially if you're a developer, you'll be able to choose different versions of the Android software if your device supports it, so you can load up Gingerbread or Ice Cream Sandwich if you want to test out an app. Right now, the hardware that Sony is supporting is pretty limited, so the tool only works with the Xperia S, arc, and arc S, but Sony is planning to expand the compatibility in the future. The flash tool is also supported in many regions, with the notable exceptions of China, North Korea, Iran, Burma, Cuba, Sudan and Syria (which Sony says is due to "distribution issues"). IM WATCHING A MOVIE THAT'S BASED ON A NOVEL THAT IM READING IN READING CLASS!!!!!!!! SA MAJESTIC!!!!! I love sony as electronic maker and prefer it over any other brand. Sony is a quality company and the customer support is actually there when you need it. I really want the next next nexus to be build by them instead of a small korean company called LG. This year I will have to deal with my nexus 4 made by LG. i see whats sony trying to do here. they are trying to make up for not updating older devices by promoting use of custom ROMs. I think its a good move. I love how cool Sony is about people messing with their phones. That's how a manufacturer should act. As each day passes, I am more tempted to buy an Xperia. If I can't lay my hands on a Nexus 4 until February, Sony will be my second choice. I hope they already have good models released in my country until then.